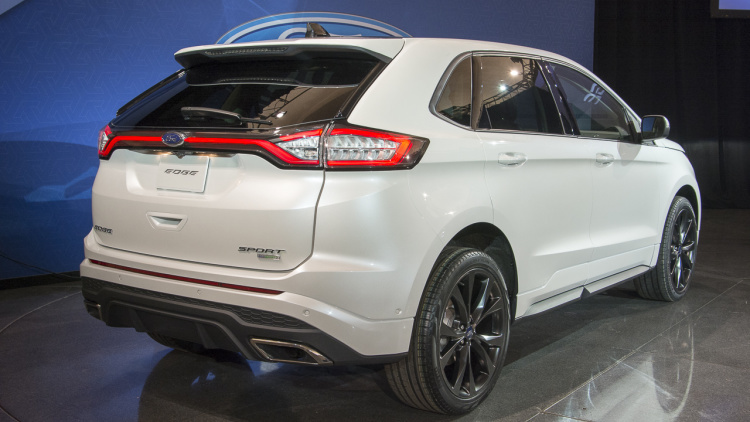 The 2017 Ford Edge Sport will come as top offer of this popular model, which is in production for over ten years. Original model came in 2006. It is a mid-size crossover, one of the most popular ones from Ford. First generation of it was finally replaced last year, when we saw completely new, redesigned 2016 year model. Since this is still a very fresh model, changes for next year are not expected. 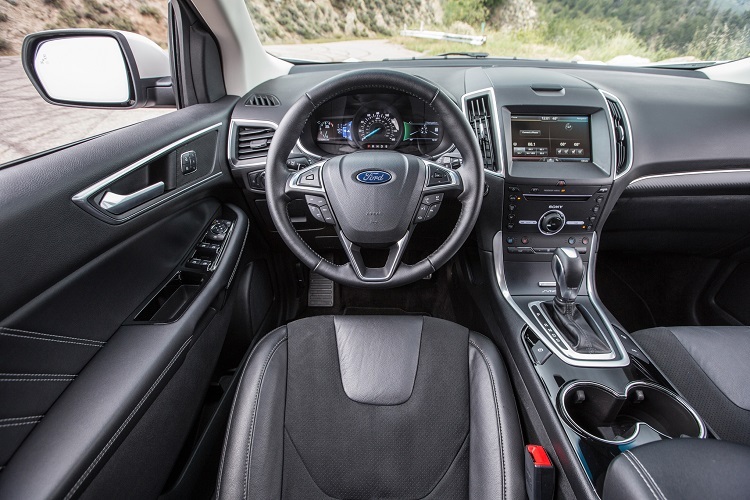 The 2017 Ford Edge Sport will come as top trim of this crossover, featuring many unique exterior and interior features, and also plenty of advanced technologies. The 2017 Ford Edge Sport will be characterized by plenty of unique characteristics. Since is a top trim of this model, it will come not only with more equipment, but also with several unique exterior features, which will provide more attractive appearance. First of all, you will notice unique grille, which comes in Piano Black finish, and new 20-inch wheels. Also, there are many other smaller details such as door handles in body color, trapezoidal exhaust pipes and other. Beside visual, 2017 Edge Sport will also come with some mechanical characteristics that cannot be found on other models. There is a special sporty suspension, which provides better handling, agility and stability. There is also an adaptive steering, which comes standard with this model. Inside this crossover, you will find plenty of equipment. The 2017 Edge Sport comes with leather seats, leather-wrapped steering wheel, power doors and windows, hands-free liftgate, , premium Sony audio system, Sirius XM radio, aluminum pedal covers, 180-degree front-view camera etc. There are also plenty of safety features, such as cruise control, lane keep assist, rear view camera, tire-pressure monitoring and many other. The 2017 Ford Edge Sport comes with company’s advanced 2.7 liter EcoBoost engine as standard. This excellent six-cylinder engine is characterized by plenty of power, but also with great economy. Total output is 310 horsepower and 350 pound-feet of torque. This engine comes with six-speed automatic transmission, and returns 17 mpg in city, and 24 mpg on a highway. 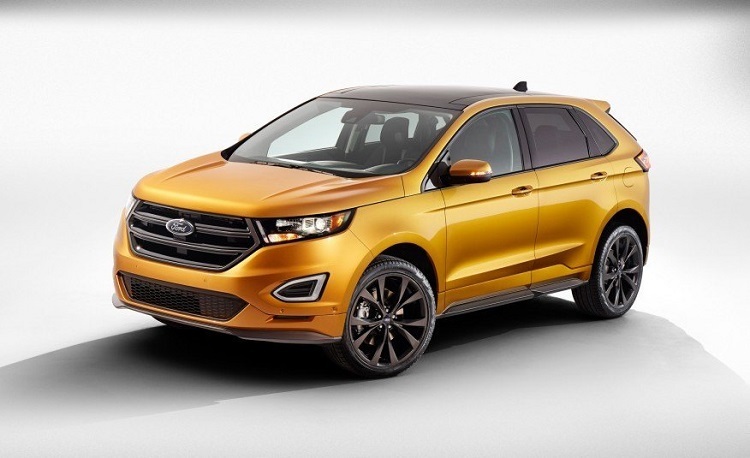 It is expected that 2017 Ford Edge Sport will come late this year. More precise date of launch will be known in the future. Finally changes in price are not expected, which means that base model will go around 40.000 dollars.